​We all know Carver-Hawkeye Arena can be a pretty darn tough place to play. Tonight, the No. 5 Michigan Wolverines learned that the hard way. Though they entered the game as MONSTER favorites, the Wolverines struggled all game and will enter the weekend with two losses on the year. 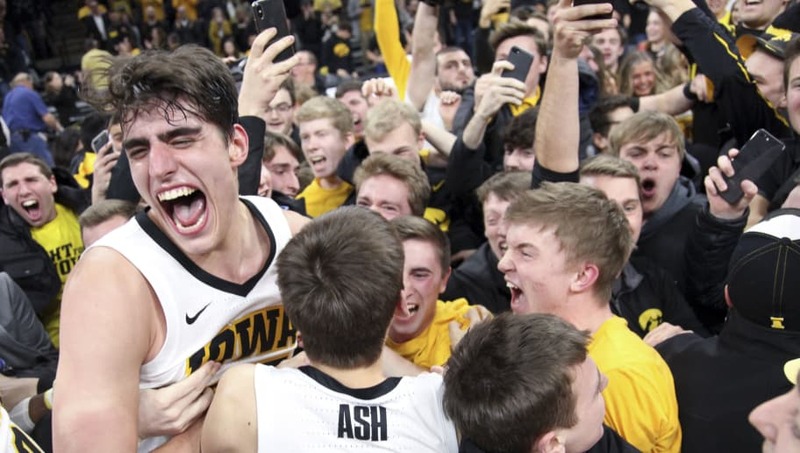 That's right, Iowa came away with a stunning 74-59 victory on Friday night. My condolences to those who bet the farm on the Wolverines to have their way with the Hawkeyes, as that simply wasn't the case. Luka Garza led the way for the home team, scoring 19 points and adding eight rebounds. Freshman Joe Wieskamp added 16 points and seven rebounds, while Ryan Kriener chipped in with 15. For Michigan, Jordan Poole and Ignas Brazdeikis both scored 16 points in the loss. Iowa jumped out of the gates early, dominating in the first 20 minutes of action. This led to a 42-29 advantage at half. Michigan couldn't make any moves in the second half to try and steal away the win. The Wolverines are now 20-2 on the year, while Iowa is 17-5.